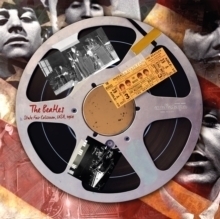 18 tracks of rare early Beatles material, including "In Spite Of All The Danger" (the only song ever co-written by Paul McCartney & George Harrison) recorded in Liverpool in 1958 when the Beatles (along with John Lowe on piano & Colin Hanton on drums) were still known as the Quarrymen; a 1960 home recording of McCartneys "Cayenne" (with Stuart Sutcliffe); "Aint She Sweet" recorded in Hamburg in 1961; "Besame Mucho" featuring Pete Best on drums; "The One After 909", and "I Saw Her Standing There" recorded live at the Cavern Club in 1962, and much, much more!! Recorded on the 1st of January, 1962, in London, this is maybe the most famous audition tape in popular music history, an audition that altered the course of 20th century rock music. The Beatles, in their Lennon/McCartney/Harrison/Best incarnation, recorded these 12 rollicking covers for the Decca label in just under an hour. They were eventually rejected by the label and went on to sign with EMI subsidiary, Parlophone, and the rest, as they say, is history. Had they signed with the label in the winter of 1962, would they have become the band that changed the world? Who knows... but what is clear is that this was a great band, even in infancy, and these great rock and roll covers not only show their potential, they're a damn fun listen in their own right. Reissued on 180 gram LP with download card. Recorded on the 1st of January, 1962, in London, this is maybe the most famous audition tape in popular music history, an audition that altered the course of 20th century rock music. The Beatles, in their Lennon/McCartney/Harrison/Best incarnation, recorded these 12 rollicking covers for the Decca label in just under an hour. They were eventually rejected by the label and went on to sign with EMI subsidiary, Parlophone, and the rest, as they say, is history. Had they signed with the label in the winter of 1962, would they have become the band that changed the world? Who knows... but what is clear is that this was a great band, even in infancy, and these great rock and roll covers not only show their potential, they're a damn fun listen in their own right. 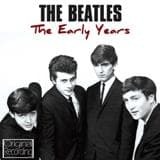 Collecting some of their earliest BBC sessions this necessary document showcases the Fab Four immediately following the release of their debut album Please Please Me and right before they would become international superstars. 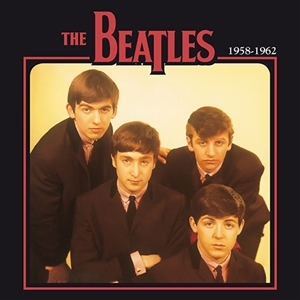 Combining fantastic R&B covers and some of their best early originals this compilation finds The Beatles at a crossroads between their early beat roots and the pop brilliance they would go on to display for the rest of the 1960s. Essential. The Beatles played five residencies in Hamburg between 1960 and 1962, the last of which is captured here in December of 1962, just a few months after Ringo Starr replaced Pete Best and finalized the lineup that would soon be known as The Fab Four. The group would soon be signed to Parlophone and the rest, as they say, is history. This is part one of two historical live recordings that capture the band just before they rocketed to stardom. A truly important piece of Beatle history back in print! In December 1961, Polydor Records in Germany released the single My Bonnie by Tony Sheridan & The BeatBrothers. The single made a rather modest #32 on the German chart, prompting a subsequent album of thesame name that was released in January 1962. However, it was an enquiry by a potential customer at a recordshop in Liverpool that set in motion a chain of events that would result in the launch of the best selling group inthe world. The Beat Brothers werent brothers at all, rather they were John, Paul, George and Pete, better knownas The Beatles, whose name had been amended for the German release as The Beatles was considered toorisqu. 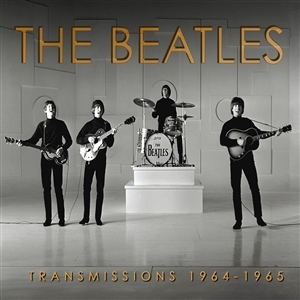 The album made little impression when originally released but two years later The Beatles were a worldwidesuccess and the original My Bonnie album was repackaged for release as The Beatles First and has alsoappeared as The Beatles with Tony Sheridan & Guests.This package also features as a bonus both sides of The Beatles first official single, Love Me Do backed with PS ILove You. limited edition clear vinyl 10"
180 gram LP + bonus CD of the album. 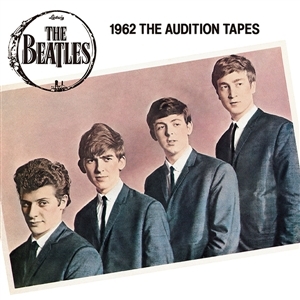 "Guitar groups are on their way out", was what the biggest fool in rock & roll history wrote to Brian Epstein when he REJECTED the Beatles after listening to this audition tape, recorded at Decca Studios on New Years Day, 1962. Although the boys (with Pete Best on drums) were admittedly still finding their footing here, and the three Lennon-McCartney originals may be no match for "Love Me Do" (recorded just 10 months later), these 15 songs still have all the makings of a band whose stardom would soon obscure the sun. 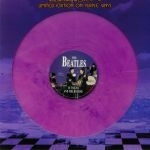 Deluxe picture disc LP documenting the first days of Beatlemania. Through 30 weeks, from February 11 to September 12, the best band of all-time is captured here in the days before flying high to reach the sky and shine like a bright star. Pressed on a limited edition picture disc on DOXY. Riding the wave of the German beat craze of the early sixties, British singer Tony Sheridan became a regular on the Hamburg club circuit, recruiting an ever-changing roster of back-up musicians that included, in 1961, a nascent Beatles featuring John Lennon, Paul McCartney, George Harrison and Pete Best. Although still very much on the scene, bassist Stu Sutcliffe did not appear on these sessions. While most of the songs here are covers sung by Sheridan, Lennon and Harrison did write the instrumental "Cry For A Shadow". Hamburg is also where the Beatles first picked up the mop-top. The Beatles played five residencies in Hamburg between 1960 and 1962, the last of which is captured here in December of 1962, just a few months after Ringo Starr replaced Pete Best and finalized the lineup that would soon be known as The Fab Four. The group would soon be signed to Parlophone and the rest, as they say, is history. This is part two of two historical live recordings that capture the band just before they rocketed to stardom. A truly important piece of Beatle history.